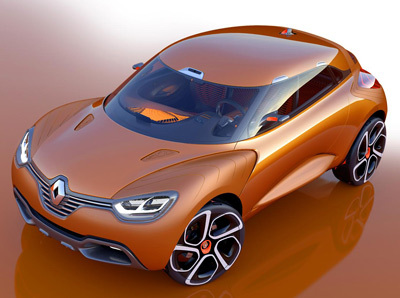 The Renault Captur concept was revealed on the 10th February 2011 by Renault/Nissan CEO Carlos Ghosn. 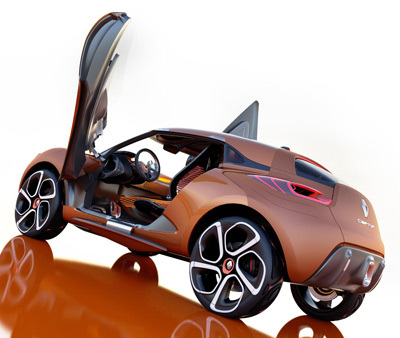 The Renault Captur was a sporty looking crossover which featured incredibly curvaceous and rounded bodywork. The Captur is designed to further extend the simple, sensuous and warm styling that will be progressively extended to future Renault car designs. Laurens Van den Acker, Director of Design at Renault said of the vehicle: "Captur is a fun and sporty crossover, ideal for a young couple about to discover the world". Axel Breun, the Director of concept cars added; "It takes as its basis the fundamental design language introduced on the DeZir concept car but adds a more technical dimension - more functional but still highly sensuous". 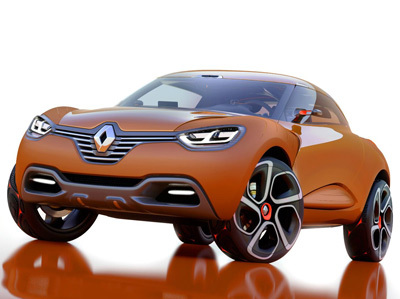 The primary sources of design inspiration for the Renault Captur came from athletes and radical sports. 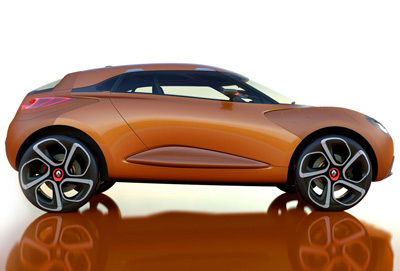 The car's exterior designer, Julio Lozano, stated: "In designing Captur, I began with the image of a sprinter on the starting blocks, his muscles tensed, and the energy unleashed when the starting pistol is fired". The Captur's bodywork also references equipment such as helmets, gloves and other protective gear used in sports, combining high technology with sophistication and lightness. The interior of the Renault Captur is designed to be both inviting and occupant-friendly. The impression of lightness is carried over to the interior, with the front seats attached to the centre console as if floating in mid air. The centre console, door casings and dashboard are formed using a translucent material rather like a second skin. Throughout the cabin are high-tech fibre ropes, luminescent in places, which have been used in place of cushions. The aluminium pedals, carbon bucket seats front seats and steering wheel trimmed in gray textured leather lend the interior a mild sporting tone. Powering the Renault Captur is a 1.6 litre Energy dCi twin-turbo diesel. This engine produces 160 horsepower, and 380 Nm of torque from as low as 1,750 rpm. Paired with a dual clutch EDC gearbox, this drivetrain produces CO2 emissions of less than 99g/km. The Renault Captur's performance and traction is further improved by a system called RX2. Should one of the two driven wheels lose traction, the RX2 mechanical self-locking differential transfers all or part of the engines torque to the wheel with the most grip. The Captur concept also features the first use of the Visio-System, an innovation that uses a forward-facing camera mounted at the top of the windscreen to provide driver-assistance functions. This new technology is able to embed synthesized images into real-time images of the road ahead displayed on a central screen; this is the principle of augmented reality, aiming to enhance the drivers perception of the external world by superimposing purpose-designed elements.